Excited to rock the 1s & 2s of poems this summer. 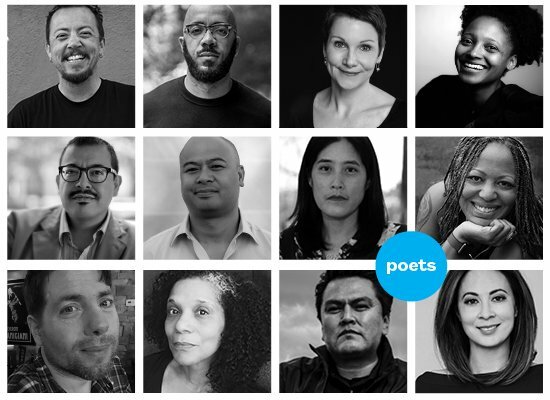 Come on the ride with me this June — and with this amazing group of Poets all year! New York, NY (December 4, 2018)—The Academy of American Poets is pleased to announce twelve new guest editors of Poem-a-Day who will each curate a month of poems in 2019. The guest editors, who include the current U.S. poet laureate, and state and city poets laureate, are all award-winning poets who represent wide-ranging expertise and editorial perspectives, as well as twelve states, from California to Colorado to North Carolina. Poem-a-Day is the original and only series sharing previously unpublished poems by poets daily. Reaching more than 500,000 readers each morning on Poets.org and via email, social media, and syndication, Poem-a-Day is one of the largest platforms for a poet to share new work. Subscribe to the free email version of the series here. “Working with guest editors to produce Poem-a-Day this past year has helped ensure that we are publishing an even greater array of poets and poems. With the guidance of the forthcoming 2019 guest editors, who include some of the most compelling voices in poetry today, we’ll present another year of poems not to miss. In what is American poetry’s heyday, Poem-a-Day is essential reading," said Jennifer Benka, executive director of the Academy of American Poets.